This week, ACT’s General Secretary Rudelmar Bueno de Faria joined leaders from the world’s major Christian denominations in a joint letter calling on communities to engage in the Season of Creation. Season of Creation is celebrated every year from September 1 to October 4 by Christians around the world through prayer and action to protect the environment. The letter affirms the growing commitment of Christian leaders to environmental protection across various denominations. “As the environmental crisis deepens, we Christians are urgently called to witness to our faith by taking bold action to preserve the gift we share,” the letter reads. “As a faith based network, ACT Alliance recognizes the moral and spiritual obligation to care for creation and for the people and communities that are most affected by environmental degradation,” said Bueno de Faria. “I encourage ACT members to mobilize their communities and networks to engage in the Season of Creation through prayer and action for environmental protection and for solidarity with the most vulnerable,” he continued. “The ACT Alliance will continue to engage with governments, civil society, people’s movements, faith based organizations, and others for environmental protection. The Season of Creation provides us with a moment to acknowledge the role of human impact on the environment and importantly to reflect on the gift of creation,” said Bueno de Faria. The letter is available below and on our website here. As the environmental crisis deepens, we Christians are urgently called to witness to our faith by taking bold action to preserve the gift we share. As the psalmist sings, “The earth is the Lord’s and the fullness thereof, the world and those who dwell therein.” (Psalm 24:1-2) During the Season of Creation, we ask ourselves: Do our actions honor the Lord as Creator? Are there ways to deepen our faith by protecting “the least of these,” who are most vulnerable to the consequences of environmental degradation? 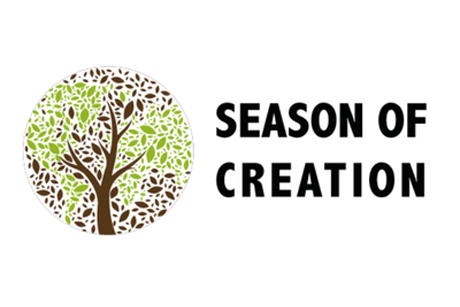 The Season of Creation Steering Committee is comprised of ACT Alliance, Anglican Communion Environmental Network, ARocha, Christian Aid, Global Catholic Climate Movement, Lausanne/World Evangelical Alliance Creation Care Network, Lutheran World Federation, and World Council of Churches.